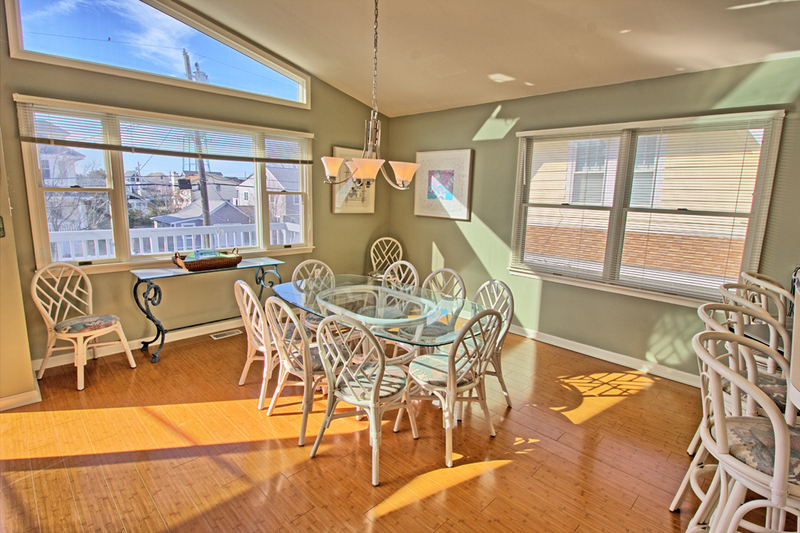 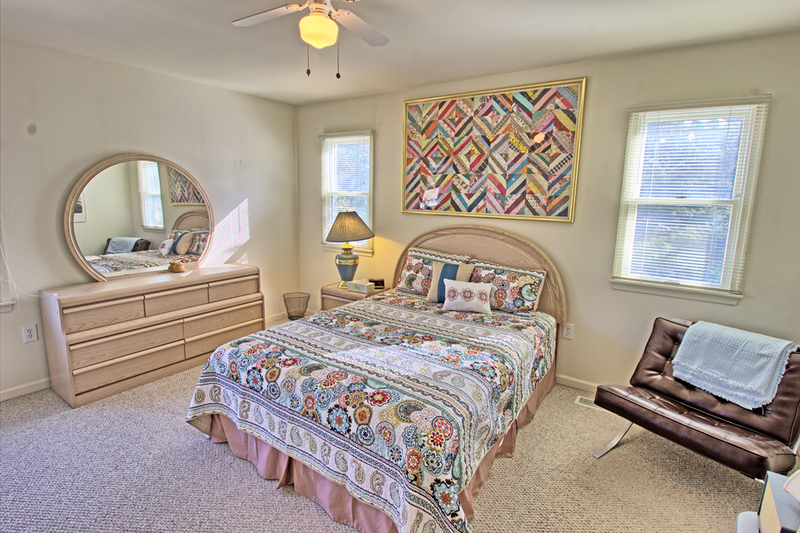 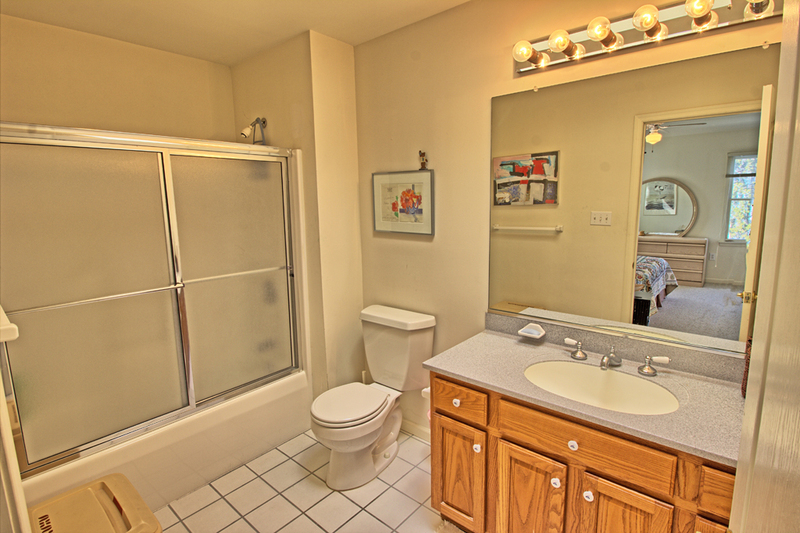 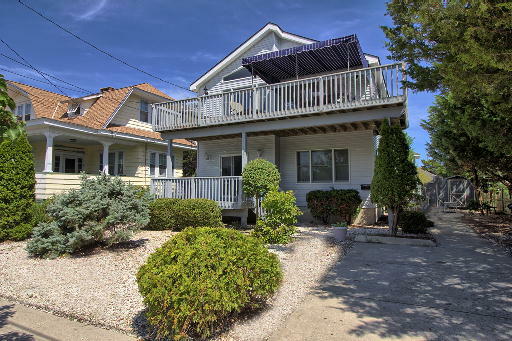 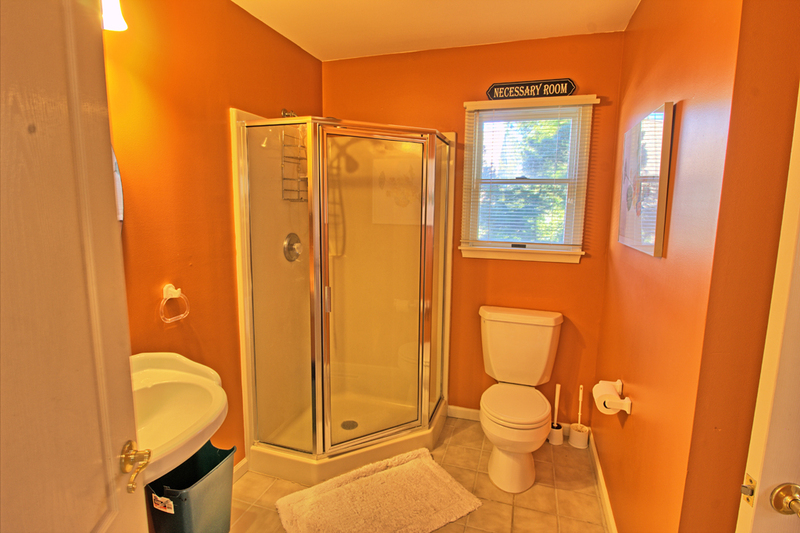 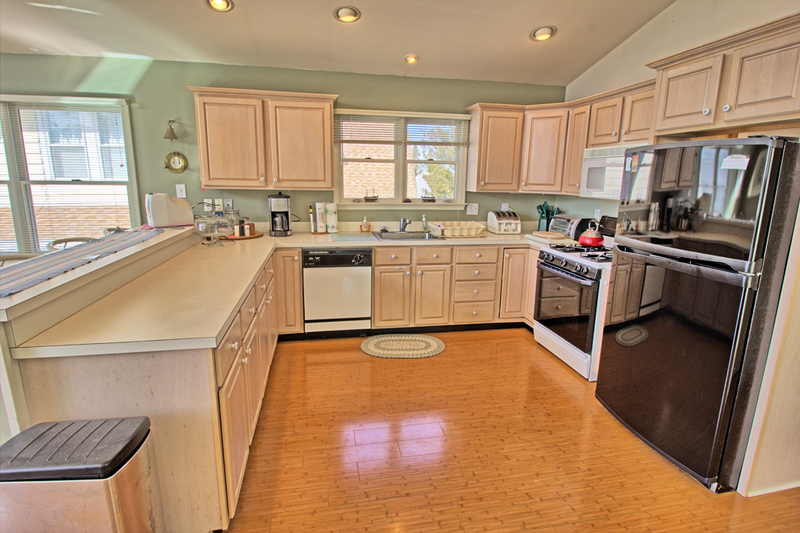 This five bedroom, 3 bath home is located in Avalon's quiet north end. 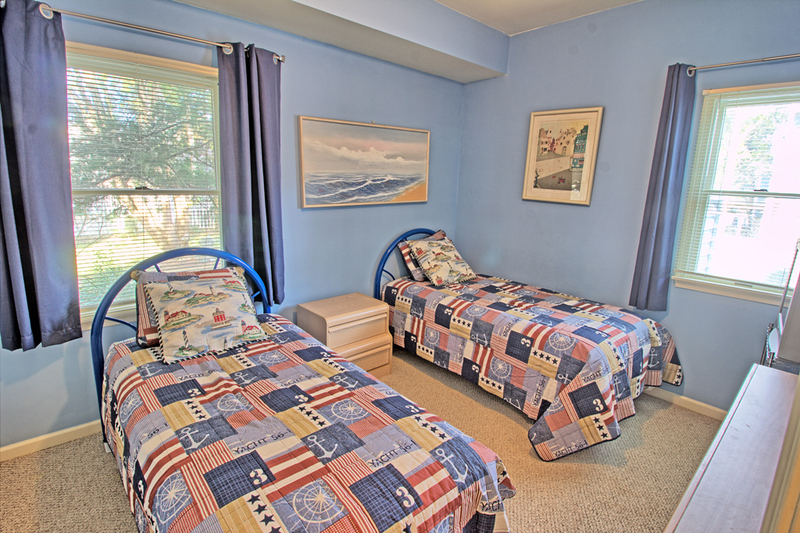 The first floor offers a spacious family room with a queen size sofa bed, flat screen television, and mini wet bar; first bedroom features a queen size bed, flat screen television, VHS player and shared access to a hall bath, second bedroom features 2 twin beds and television; third bedroom features a king sized bed. 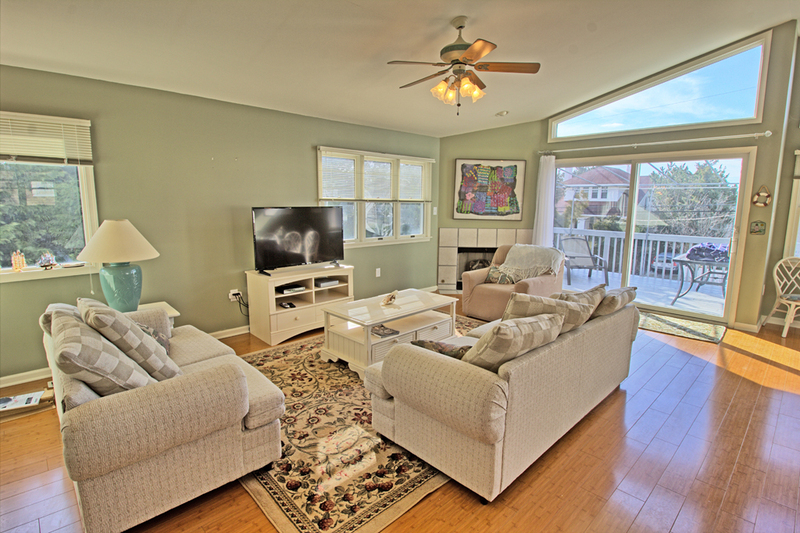 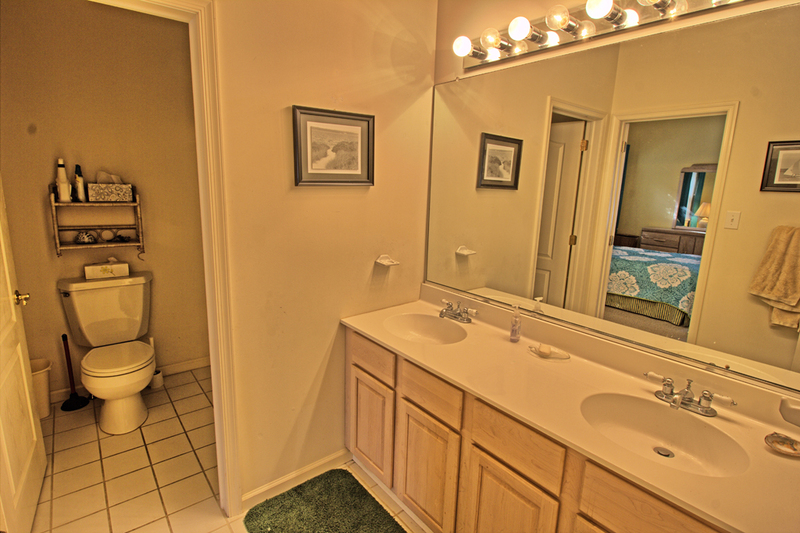 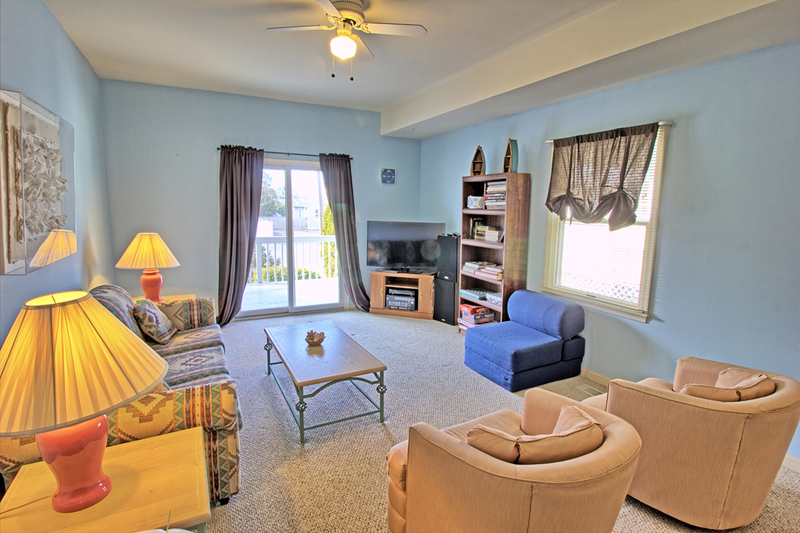 The second floor leads to a spacious great room with hardwood floors, vaulted ceilings and access to a large deck. 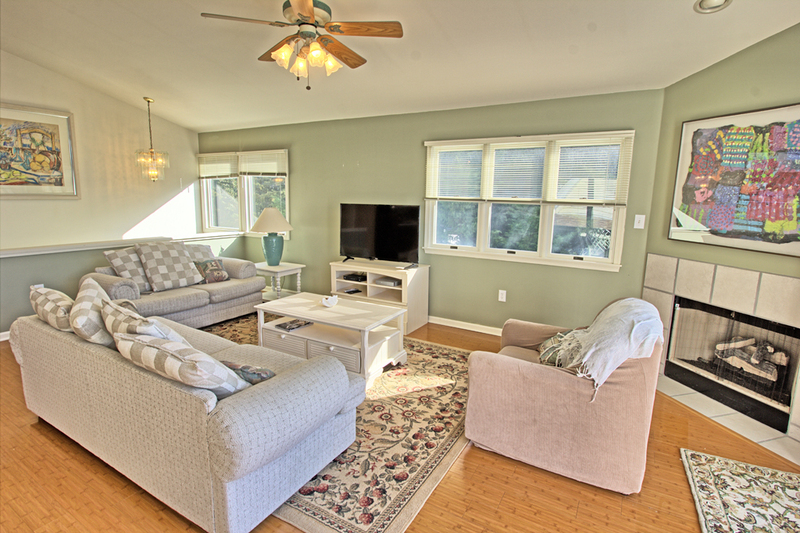 The great room includes a spacious living area with flat screen television, VHS player, dining area with seating for 8 and an updated kitchen with bar seating. 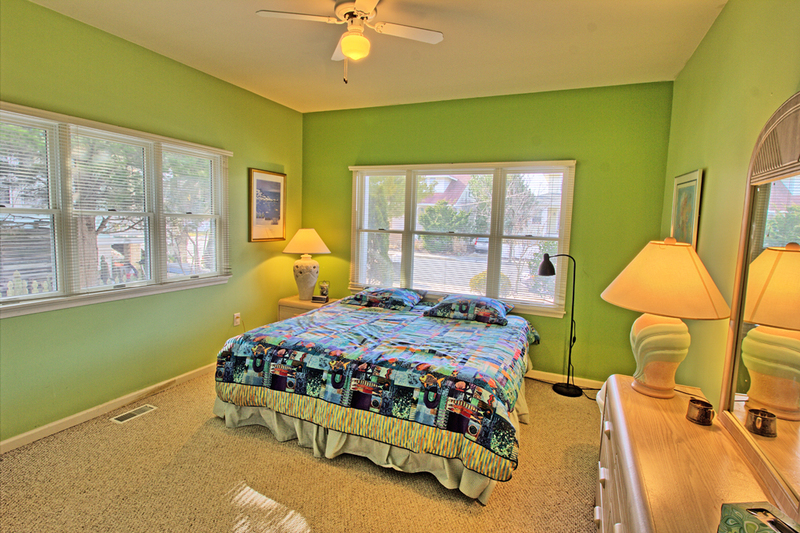 Second floor also features two more bedrooms. 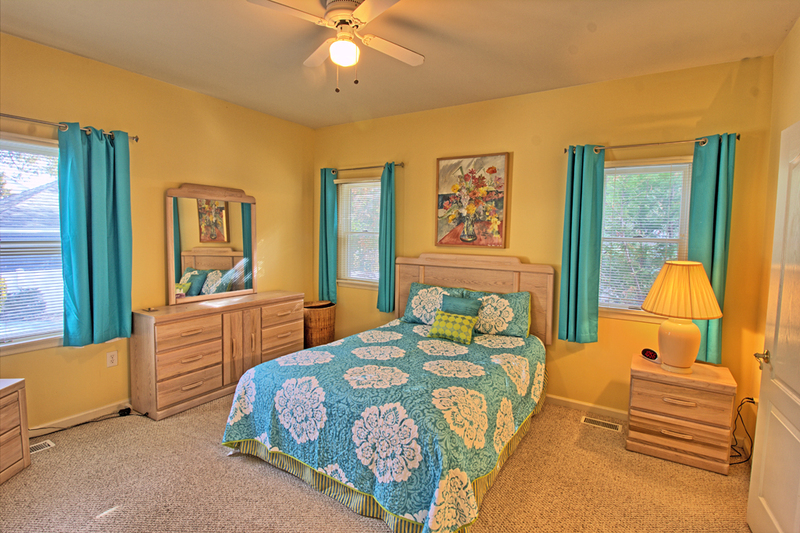 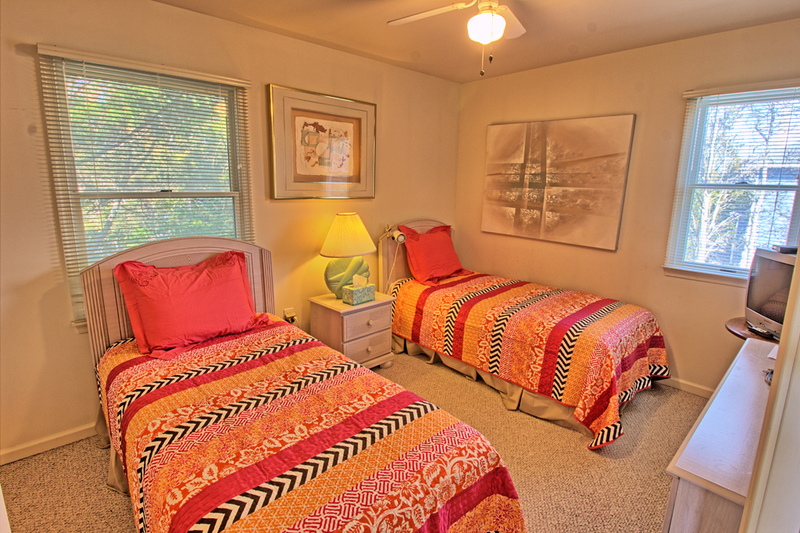 First bedroom with 2 twin beds, master bedroom with queen sized bed and private bathroom. 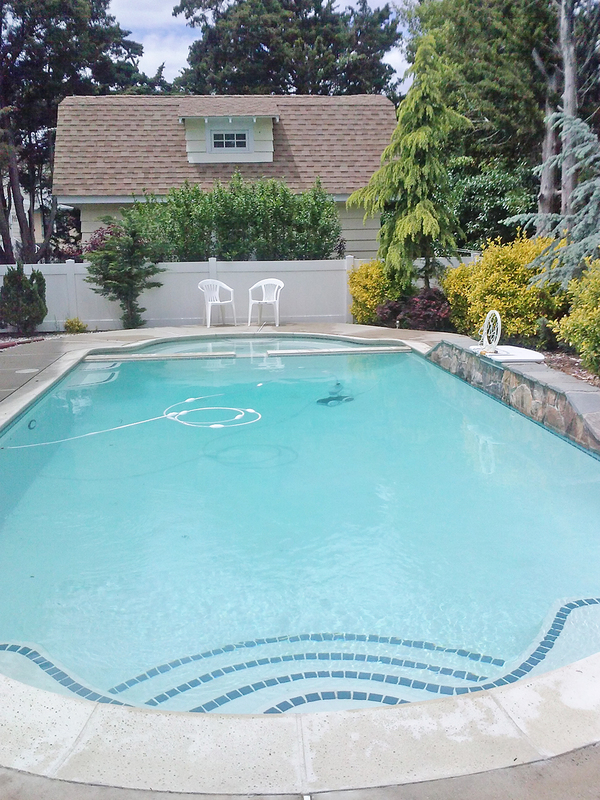 The rear yard is fenced enhancing the privacy of the patio area and heated in ground pool. 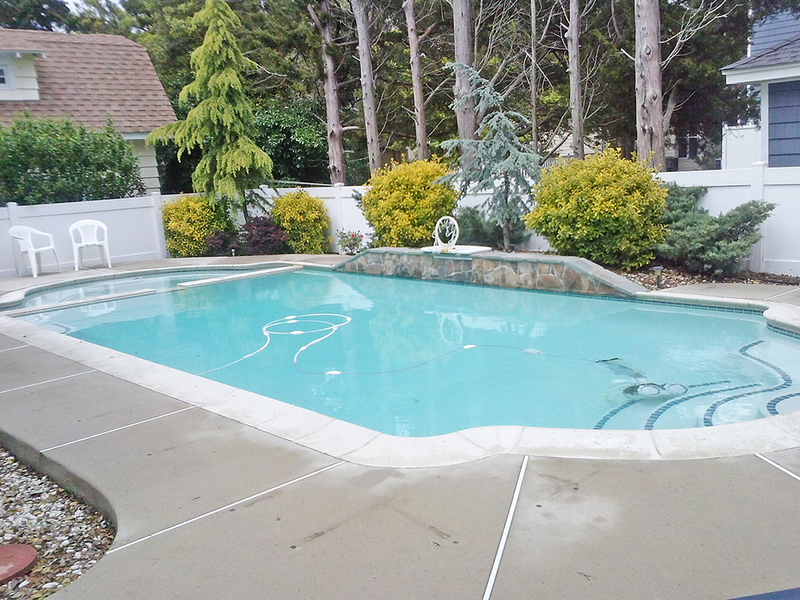 Spa in pool is not operational.